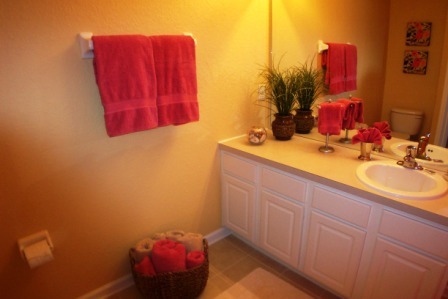 This bathroom adjoins the second floor master bedroom. 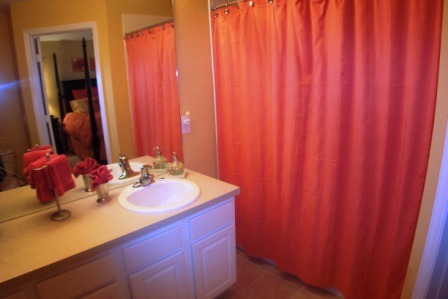 It is a full bathroom featuring a sink/vanity, toilet, and full size shower/Jacuzzi hot tub with a shower curtain. 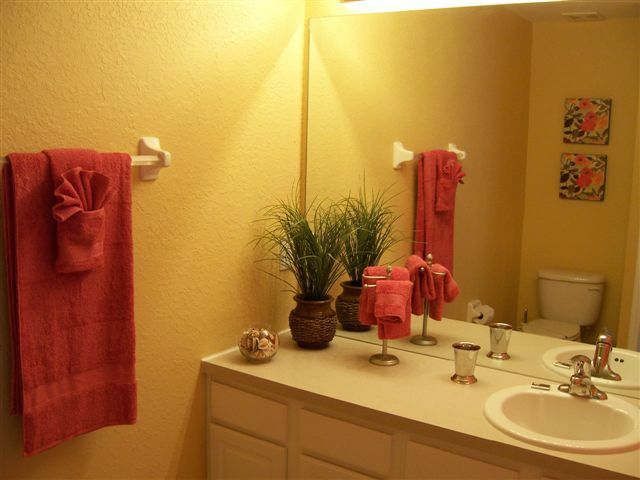 It has been newly upgraded to ceramic tile along with the other 2 bathrooms in the house.